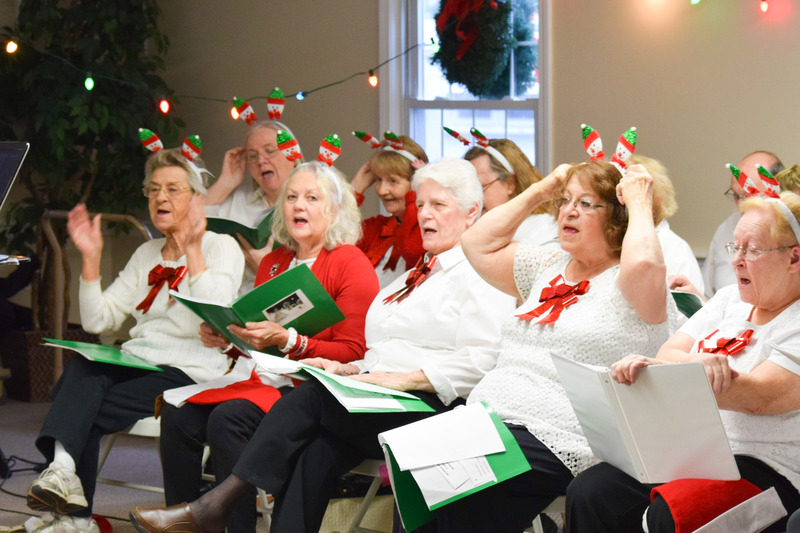 The Singing Seniors had slight ‘costume changes’, which included their holiday headbands and jingle bell props. Musical Director Carl Faith introduces the Singing Seniors to a full house at the Henrich Hall. 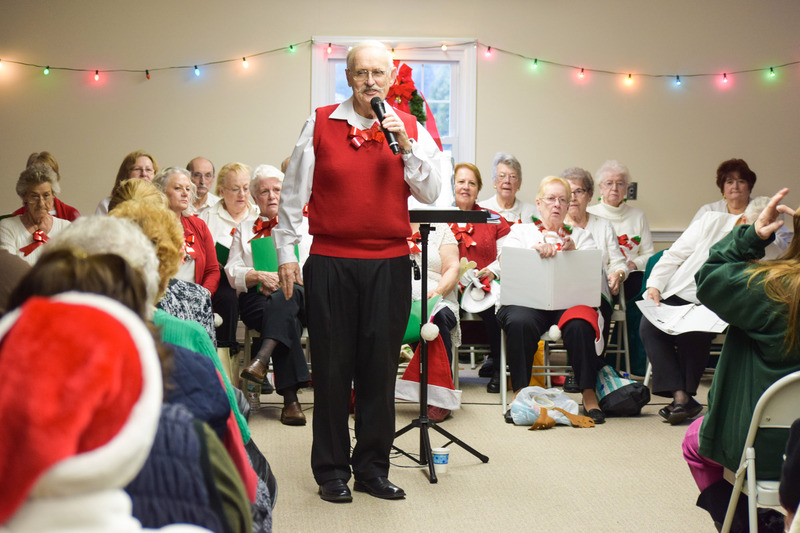 Several songs the group sang were Silent Night, Silver Bells, Let it Snow, and other holiday classics as well as nearly a dozen solos. 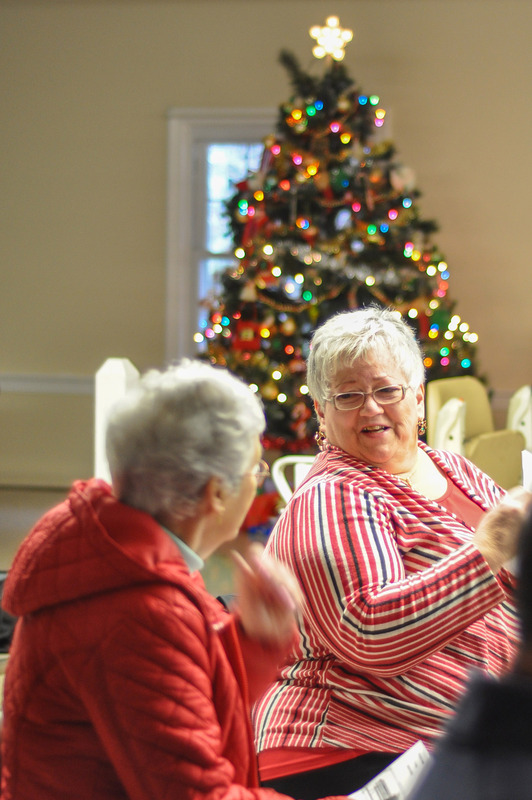 The event was followed with refreshments and coffee. 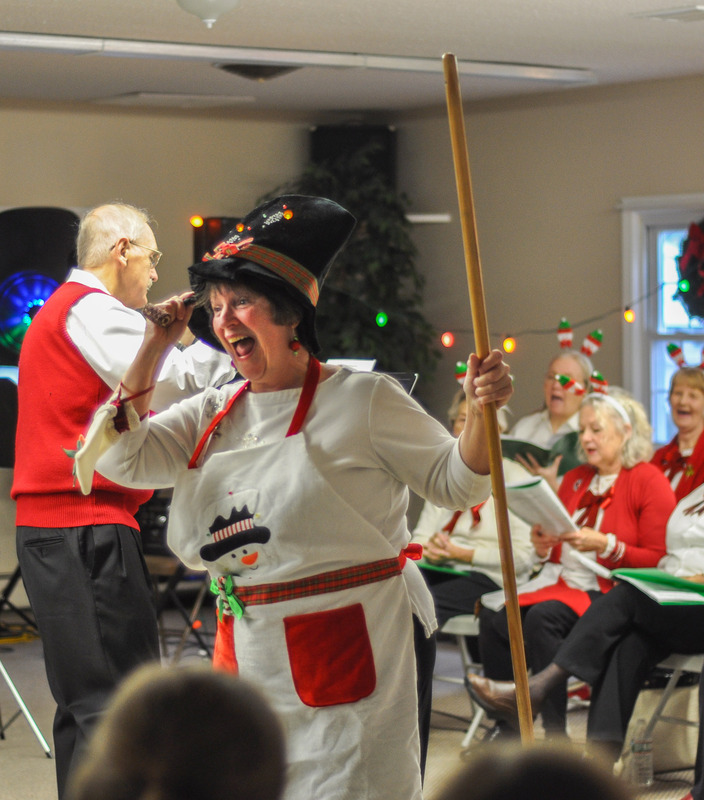 Glenda Duncan organizer of the event appears as a dancing, vivacious Frosty the Snowman. 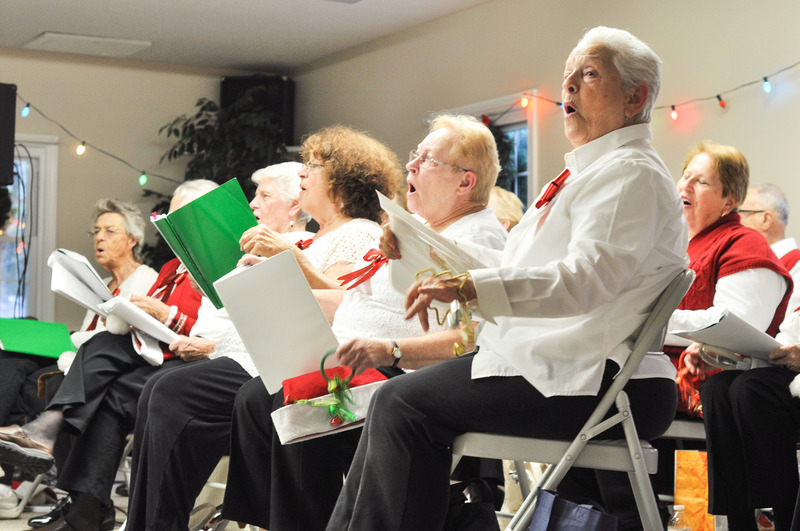 Guests Carole Whitman left and Donna Gilmartin share their joy at the holiday performance. 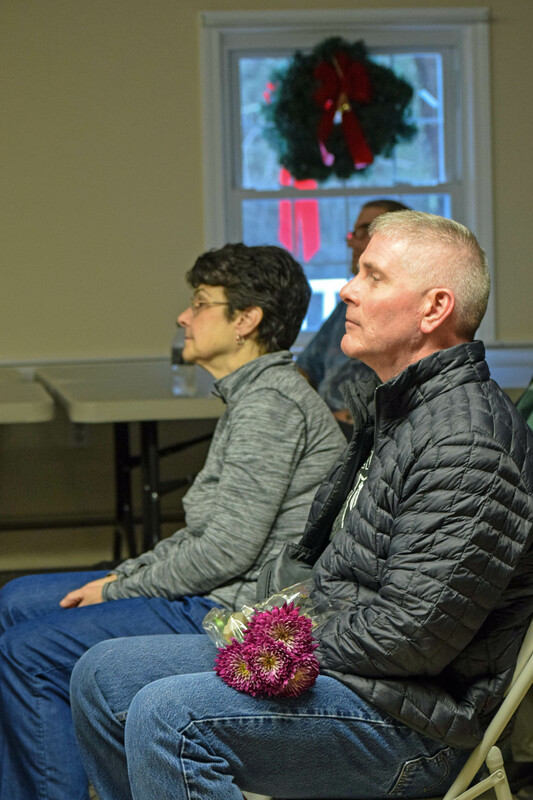 Chris Burke of Halifax holds a bouquet of flowers as he watches his mother Joan Burke perform with the Singing Seniors.